Neighbors are outraged after the city destroyed a large mural celebrating Puerto Rican culture at Pulaski Road and Bloomingdale Avenue with no input from the artists or local officials. HERMOSA — Neighbors are outraged after the city destroyed a large mural celebrating Puerto Rican culture at Pulaski Road and Bloomingdale Avenue with no input from the artists or local officials. The colorful mural, “Es Tiempo de Recordar,” was painted 26 years ago by a trio of prominent artists — Sandra Antongiorgi, Marcus Akinlana and Rolf Mueller— in partnership with a group of students. It depicted the art, music and culture of the Puerto Rican community, according to Antongiorgi, who also restored the mural in 2010. “We asked what [the students] wanted to see, how they wanted to be represented,” she said of the mural. 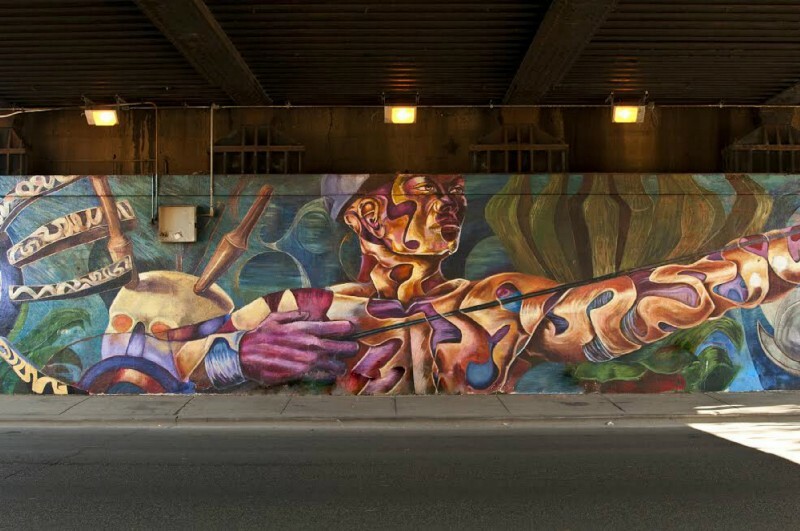 Last week, city crews whitewashed the mural during a graffiti removal job without notifying the artists, local aldermen or the Chicago Public Art Group, an organization that routinely works with the city on public art projects. Ald. Roberto Maldonado, whose 26th Ward includes part of the mural, echoed Antongiorgi’s sentiment in a Facebook post. But Antongiorgi said it’s not enough for the city to apologize. The city needs to create a policy that prevents this from happening again, she said. “There should be a process when the city or anyone decides to take these down, the community should be involved, the alderman should be involved, the artist should be called,” she said.